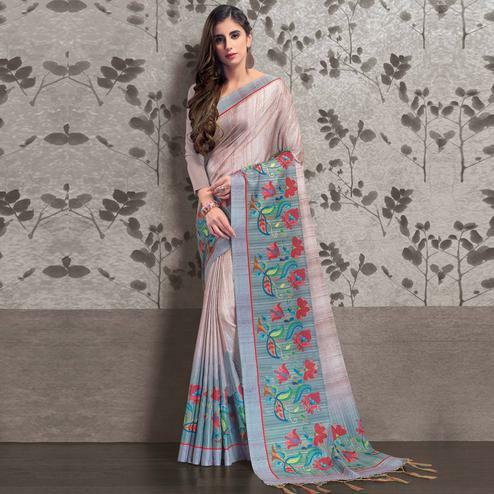 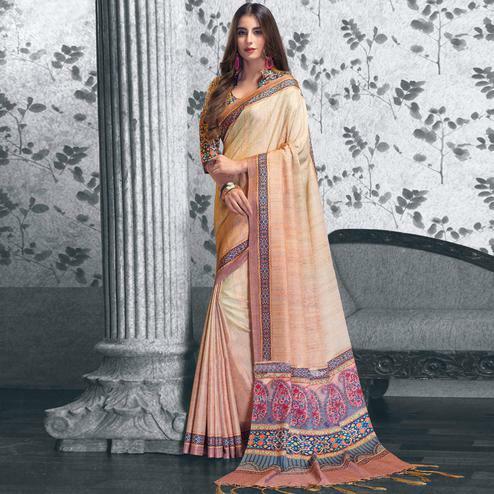 This cream - pink half & half georgette saree is beautifully designed with floral & paisley design embroidered & stone work which lifts the overall look of this attire. 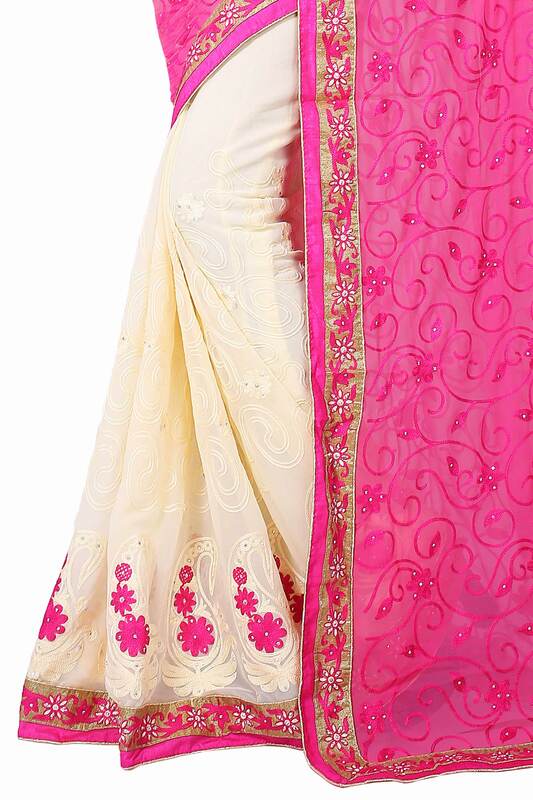 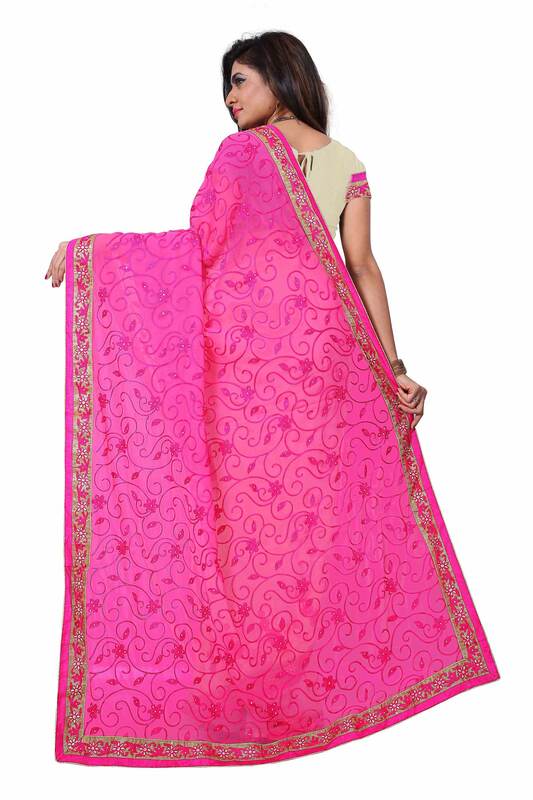 The contrast color border containing floral ivy embroiders makes the saree look more elegant. 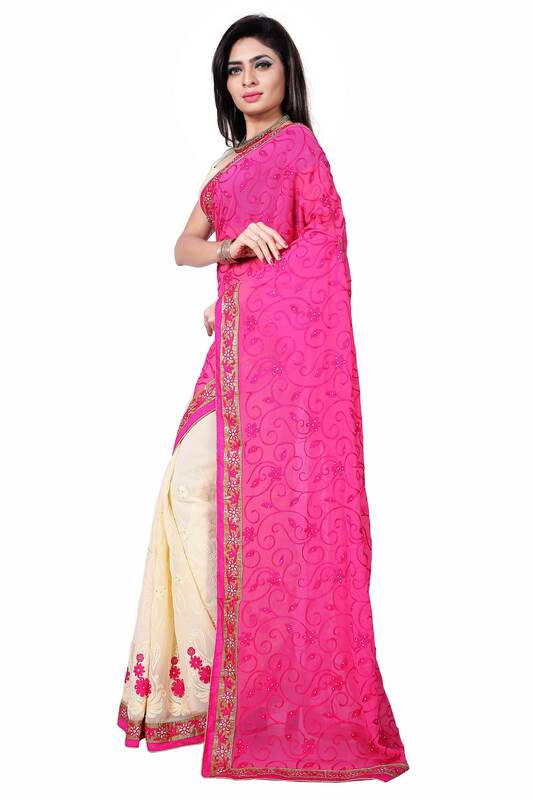 Saree comes along with unstitched blouse having matching lace. 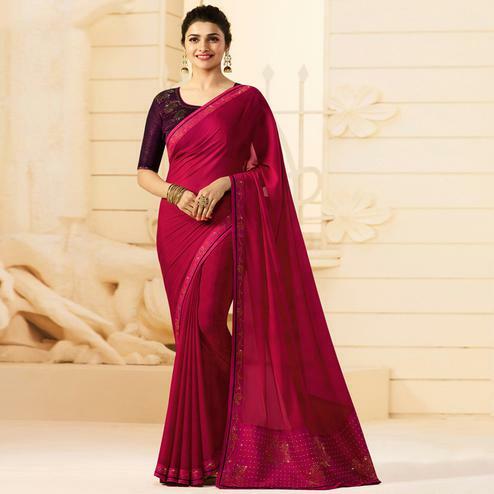 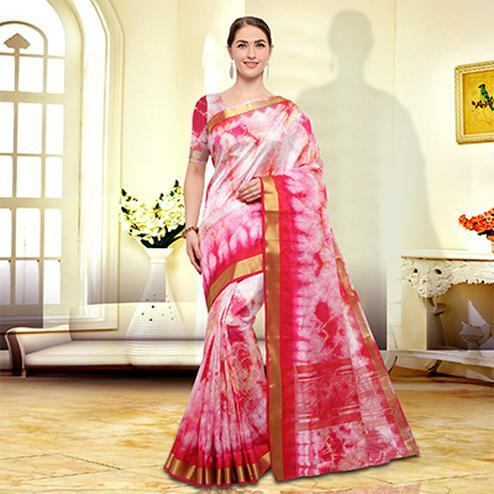 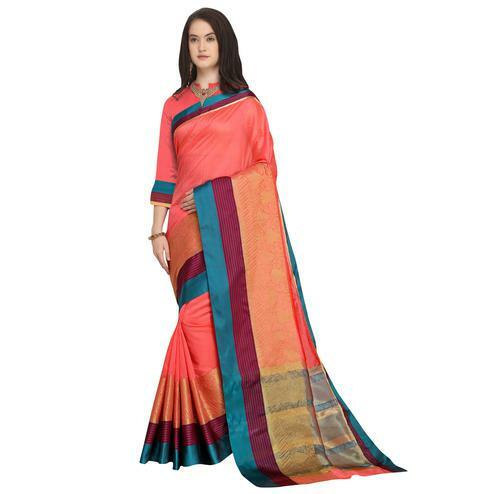 It's a perfect saree to pick for parties and functions.